Cross and Cutlass: Friday Frenzy! Tears of the Sea releases on Monday!! As some of you know, this is a different sort of book than I usually write. Although it is still a romance and has an historical feeling to it, it is a fantasy about a mermaid under a curse. My hope and prayer is that this allegory of the Gospel will reach many young women and open their eyes to how much God loves them! Will you partner with me in getting this book into as many hands as possible? What a great Christmas gift for the young ladies in your life, especially those who need to be brought closer to God. It is also a story that goes completely counter to today's culture that says there's nothing wrong with sleeping with your boyfriend. In this story, I expose the devastating consequences of cheapening yourself and giving something away that is precious and should be reserved for the commitment of marriage. What a breath of fresh air compared to the garbage foisted upon us by today's media! I expect to have it on sale on Barnes and Noble and other sites within the week. NEXT FRIDAY, I hope you'll join me for a RELEASE Party!. I'm giving away a Mermaid Gift basket filled with all sorts of goodies, so please drop by and enter and also tell your friends!! Here's a meme created by Chaplain Debbie Mitchell to get you excited about the story! Dialogue! Books could be written about dialogue. It's one of the hardest things to perfect as a writer. One of the best ways to improve writing dialogue is to spend some time studying the way people talk. Next time you're at church or at work or in some sort of social event, pay special attention to how people converse. You'll soon notice that most people don't speak in perfect sentences, but rather in clipped phrases, fragments, and short exclamations. I've read far too many books where the characters speak perfect English sentences and it sounds stilted and unrealistic. You want your readers to read dialogue and have it sound so real they feel like they are standing next to your characters and listening to the exchange with interest. Have a GREAT weekend!!! Hugs! So excited for you .... can hardly wait for "Tears of the Sea" to come out in paperback form too. The fact that this story is so different from how you normally write ... makes it exciting and intriguing for sure. Way to go, MaryLu !!!!!!!!!!!!!! Rejoicing with you in this new endeavour. Will spread the word wherever I can. I am so excited for you, MaryLu! This is a fantastic story with a wonderful lesson! Praying for a great release! 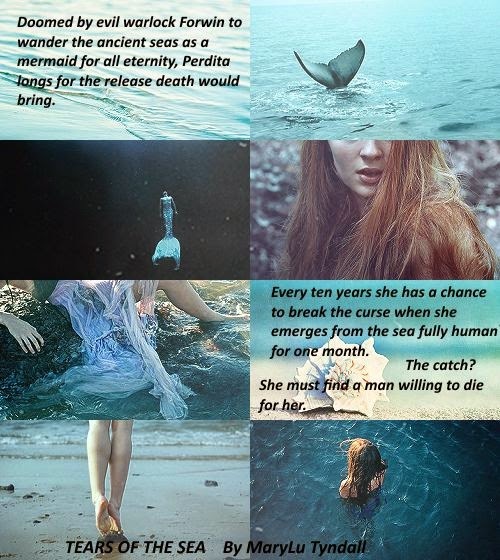 I am loving "Tears of the Sea", MaryLu, and love Debbie's pic/quote posts also!! 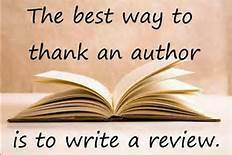 Will do all I can to promote it - you are a multi-talented author, for sure!! Congrats!! 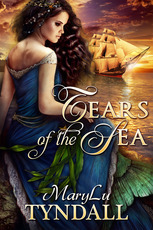 I'm anxious for others to read "Tears of the Sea", looking forward to the release party and the paperback also!! Praying He blesses you tenfold for each time you have blessed others!! Love and hugs!! P.S. Sorry - should read praying for you and your writing. 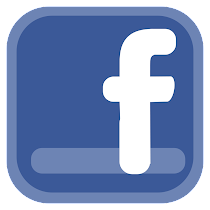 (Having a problem keeping my mind on, and finishing, online comments due to repeated phone call interruptions - I'm interviewing for a caregiver position for my aunt). Thank you for your prayers, Bonnie! I'm praying you find the right caregiver! So excited for you MaryLu! Praying for a great release!! Thanks for the writing tips you've been offering as well. Have a great weekend MaryLu! Best Christian allegory story since I read Ted Dekker's Circle series! Absolutely awesome MaryLu, it was an honour reading it and I pray it gets in all the right hands!! I know I will be aiming to get a copy into my daughter's! Bless you MaryLu and thank you so much for writing this story.